Reliabilty better than SAC305 achieved with SN100CV. 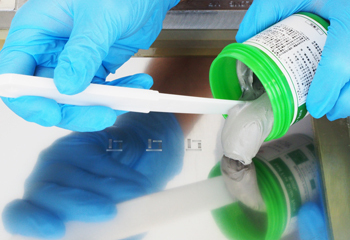 The conventional view is that silver-free, lead-free solders cannot match the reliability of lead-free solders that contain silver. Practical experience suggests that is not necessarily true, but now there is a silver-free, lead-free solder with properties superior to those of SAC305, Nihon Superior’s newly developed SN100CV. SN100CV delivers this reliabilty without the cost of silver. We are confident that SN100CV is the ideal lead-free solder for electronic circuit assembly. Stable rheology in printing and excellent reflow. 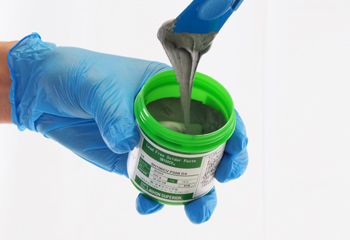 This general purpose lead-free solder paste is suitable for a wide range of electronic assembly applications. It meets the industry’s need for good wetting and minimal mid-chip balling while not needing refrigerated storage on the production line. Completely halogen-free proprietary formulation that delivers very low voiding with printing and reflow performance that at least matches that of halogen-containing pastes. Detailed information on products is also introduced in “Catalog (Digital Version)”. For more information on alloy properties, please refer to “Digital Library”.